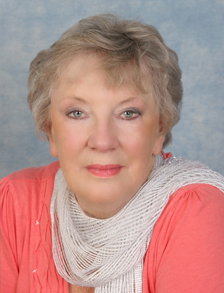 About Ann | Ann Steedman - children's book writer and illustrator. A.R.AD. Adv. Teacher’s Diploma. Life member of R.A.D. Ann has been a dancer all her life since age three passing all her Royal Academy Examinations and gaining the bronze, silver and gold medals in tap dance with I.S.T.D. and modern and national dance. She was the first girl in Northamptonshire to be awarded a county grant for training in ballet and the theatre arts. As a student Ann trained in London with Mme. Judith Espinosa and that famous family and later with Mr. Andrew Hardie. A wide and varied career followed. Ann was in “The Three Arts” Ballet Co., dancing in “Swan Lake” and “Les Sylphides” and other classics, appeared on T.V. and in West End Cabaret, and with The Imperial Opera Co. Ballet in “Faust” and “Die Fledermaus”. She was Principal Dancer and Ballet Mistress with Pantomimes and Musicals including “Jack and Jill” at the Theatre Royal, Bath and in “Cinderella” and “Robinson Crusoe” for Howard and Wyndham in Glasgow and Edinburgh. For a time she worked under the name of Nicola Shaw. Ann was in the original production of “Oklahoma!” in 1951 where she met the well known actor Tony Steedman and they married in 1957. They had a daughter Amanda in 1959 who now lives in America and Ann has three grandsons. Her marriage ended officially in 1966 and her teaching career began in Warwick and then with the Stella Mann School, London. During this time she became a Royal Academy Examiner and gained her Advanced Teacher’s Exam. in 1966. In 1967 Ann returned to Brackley and her school grew in name. She taught at Winchester House School, Brackley for 13 years and at the famous Stowe Public School for 3 years. For many years she choreographed shows for Magdalen College School, Brackley, noteably “West Side Story”, “The Boy Friend”, ”Grease” and “Noye’s Fludde” and “The Tempest”. Her own production called “Epiphany!” in St Peter’s Church caused much interest and praise and was reported on B.B.C. Radio. She was made a Full Life Member in 2014 of The Royal Academy of Dance. An artist, her work is on sale at Haywrack Gallery at Church Stowe near Weedon. Her life story named “The Glow” was a success in book form in 1999. Ann writes and illustrates her own children’s stories and seeks the right publisher or way forward with this.